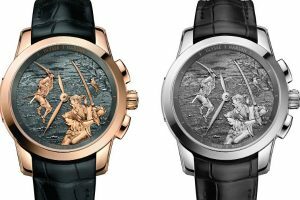 Japanese manufacturer and retailer Bibi Lab has never been afraid to appear a bit crazy with their creative releases. 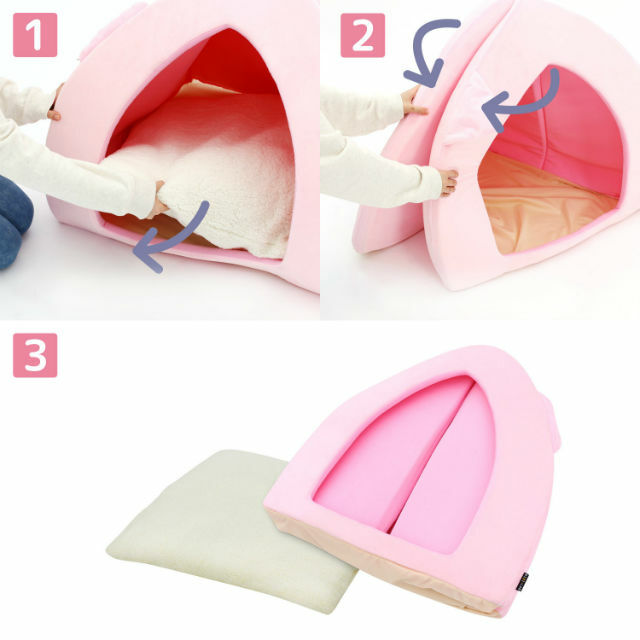 When they're not turning Japanese schoolgirl uniforms into wearable kotatsu and creating one minute-prep yukata pajamas, they like to appeal to human laziness with giant pig-tail beds that swallow you whole and a jumpsuit that turns people into sloths. 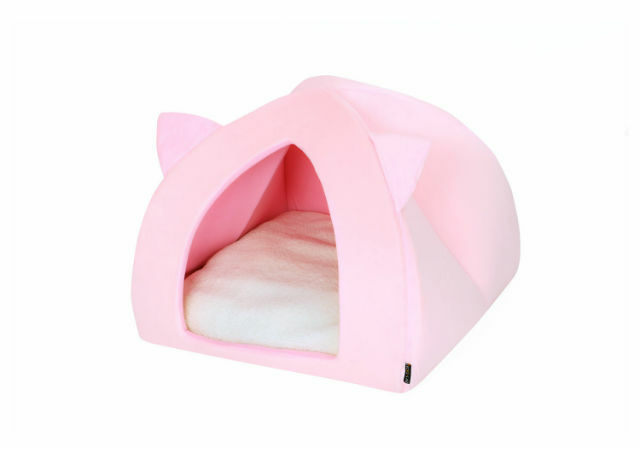 Now Bibi Lab is tapping into some clearly important research to offer a bedding option that satisfies the "human desire to become a cat" with their Pet House for Humans that lets you lounge around like a lazy feline. 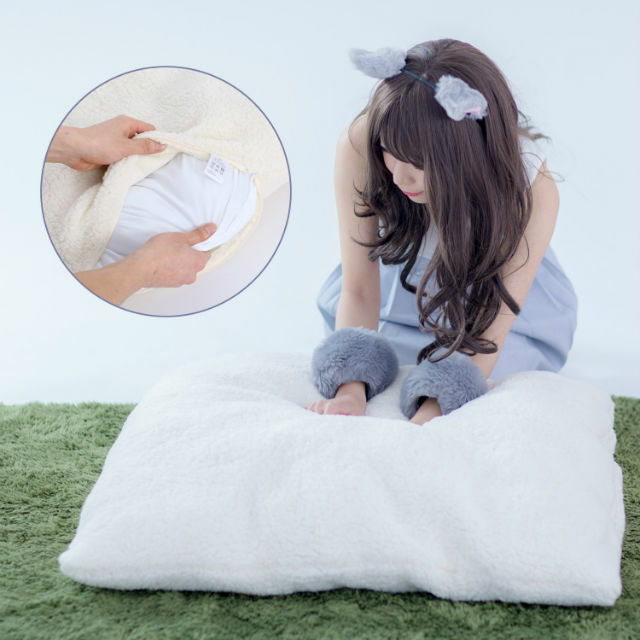 Although you may chalk this up to being yet another eccentric novelty item for cat lovers from Japan, Bibi Lab says that the product is the product of research they conducted when investigating the popular cat boom that has taken place over the last few years. 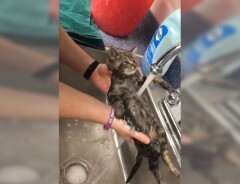 The company administered a questionnaire and found that many respondents felt jealous of the laid back, sleep and sunbathing filled life that cats live, and 77.5% of respondents said that they had at least once thought "I want to be a cat." 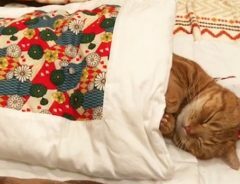 Further research 10.4 people Tweet out the phrase "I want to be a cat" per hour (at least in Japanese). 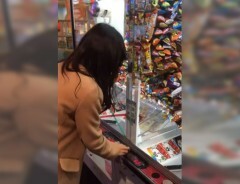 The obvious conclusion to be drawn from this? 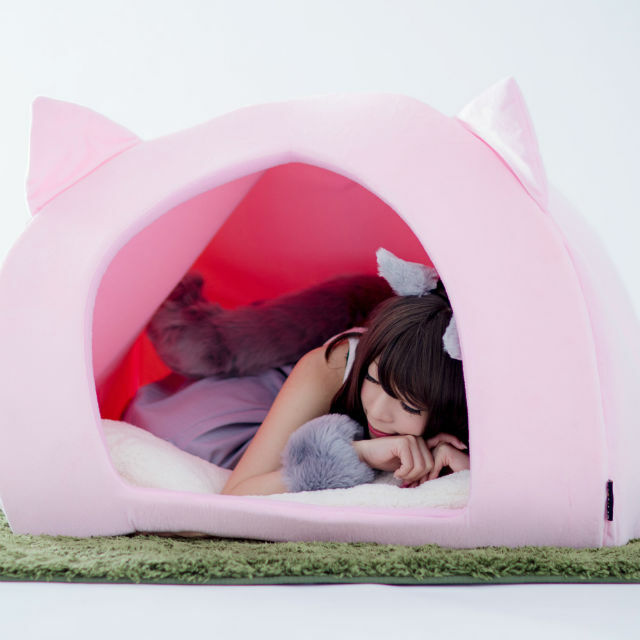 A cat house and bed for humans. 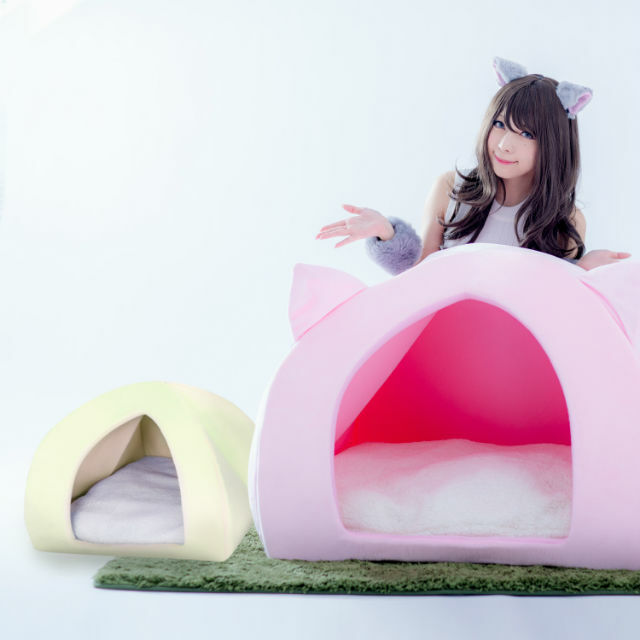 The Human Pet House was designed with cooperation from an actual cat bed maker, and so the shape, design, and fabrics are all meant to accurately portray a cat house that is six times larger than a normal sized pet one, coming in at 80cm80cm×65cm (2'7"x2'7"x2'2"). 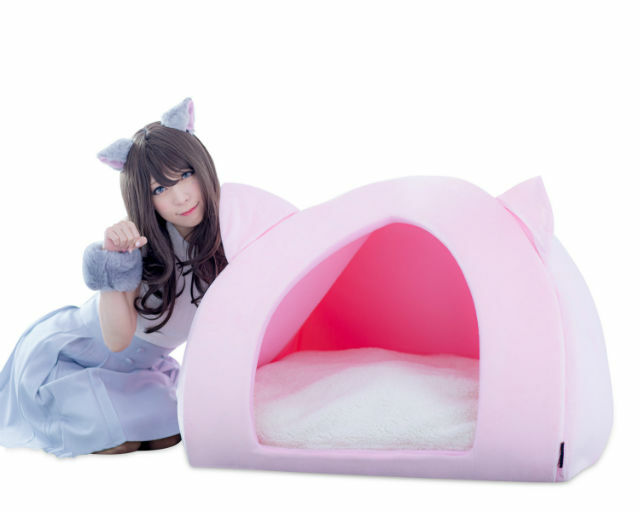 The bed is equipped with cat ears and can be folded away when not in use, to clear up space. 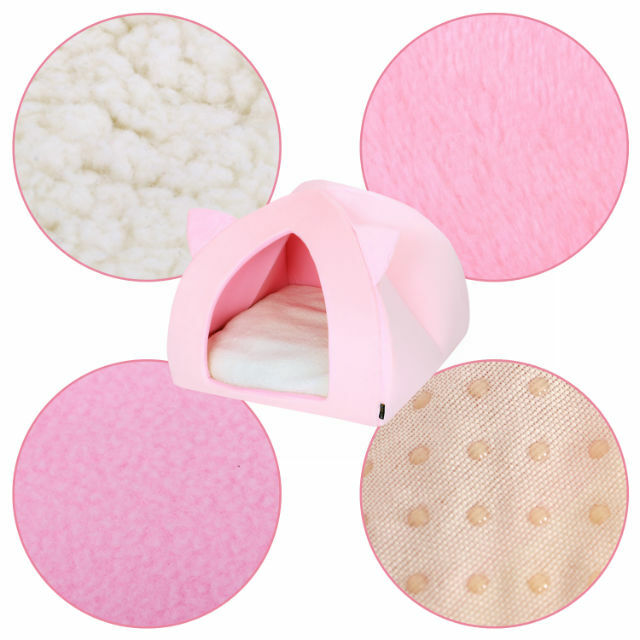 The interior is designed to reflect the narrow spaces cats are fond of cuddling up in, and the washable bedding itself is made with extra fluffiness so you can knead or massage it the way cats do. 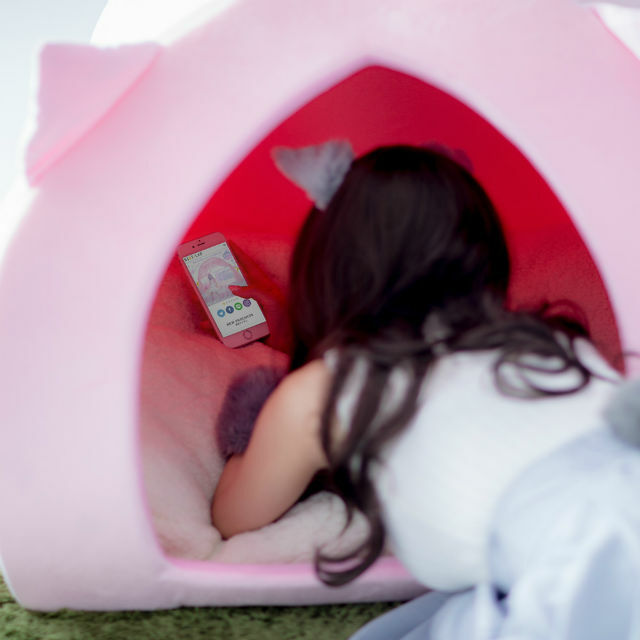 The tent-like walls are thickened to limit sunlight, so if lounging around like a cat simply means curling up in the dark and playing on your phone while shutting off the outside world, it's equipped for that as well. 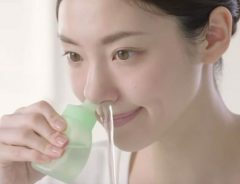 You may recognize the model as Saki Miyamoto, by the way, who also modeled for another animal-themed gag item in with a hamster shirt that turns your bust into bulging hamster cheeks. 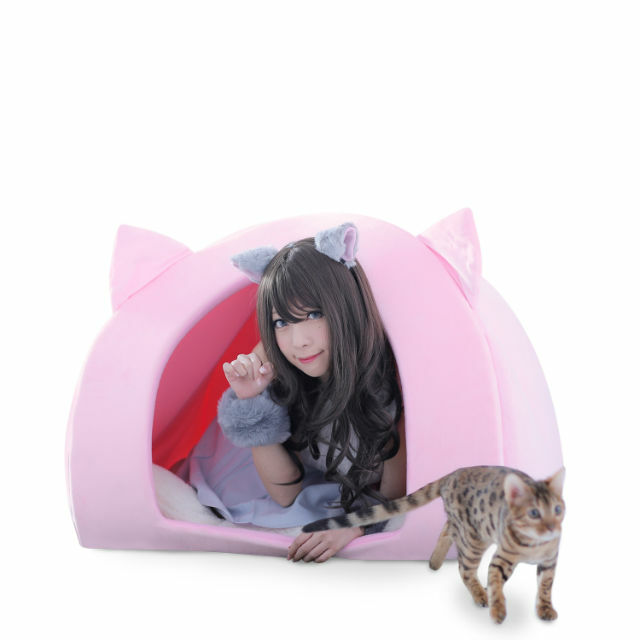 The Human Pet House seems to have a bit more practicality, however, and will either play an important step in fulfilling your life-long dream of becoming a cat, or just serve as a gigantic base of operations from which your cat can help plan the inevitable feline takeover. 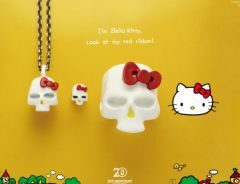 The item is currently available from Bibilab, Village Vanguard (Japan only), and Amazon, where it is listed at 11,700 yen. Curious Cats Can’t Stop Playing With Boxes–Even If It Means Surfing Down The Stairs!